Hollywood, FL—The Institute for Functional Medicine (IFM) is proud to announce Terry Wahls, MD, as the 2018 recipient of the Linus Pauling Award. The Linus Pauling Award recognizes a visionary clinician or researcher who has made a significant contribution to the development of the Functional Medicine model or to the reach of Functional Medicine nationally or internationally. Dr. Wahls received this award for her work as a physician, researcher, teacher, and patient advocate. Her health journey led to the publication of her pioneering research in neurological disorders, and it serves as a beacon of inspiration to the Functional Medicine movement and community as a whole. The announcement was made today at IFM’s 2018 Annual International Conference in Hollywood, FL. Dr. Wahls is a clinical professor of medicine at the University of Iowa, where she teaches the public and medical trainees and conducts clinical trials. She is also a patient with secondary progressive multiple sclerosis, which confined her to a tilt-recline wheelchair for four years. She restored her health using a diet and lifestyle program she designed specifically for her brain and now pedals her bike to work each day. 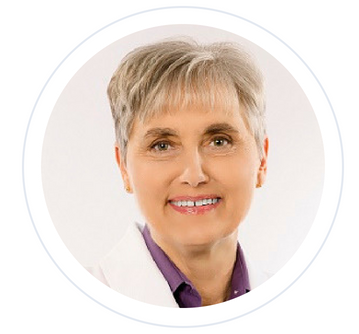 Dr. Wahls has authored several books, including The Wahls Protocol: How I Beat Progressive MS Using Paleo Principles and Functional Medicine and the paperback The Wahls Protocol: A Radical New Way to Treat All Chronic Autoimmune Conditions Using Paleo Principles. Dr. Wahls teaches the public and medical community about the healing power of nutrition. IFM is the global leader in Functional Medicine. The mission of IFM is to serve the highest expression of individual health through the widespread adoption of Functional Medicine. Click here for more information. Functional Medicine is a personalized, systems-oriented model that empowers patients and practitioners to achieve the highest expression of health by working in collaboration to address the underlying causes of disease. The primary drivers of the chronic disease epidemic are the daily interactions among an individual’s genetics, environment, and lifestyle choices. Functional Medicine addresses these underlying causes of disease and equips healthcare practitioners to help their patients manage this complex, interconnected web. Click here for more information.